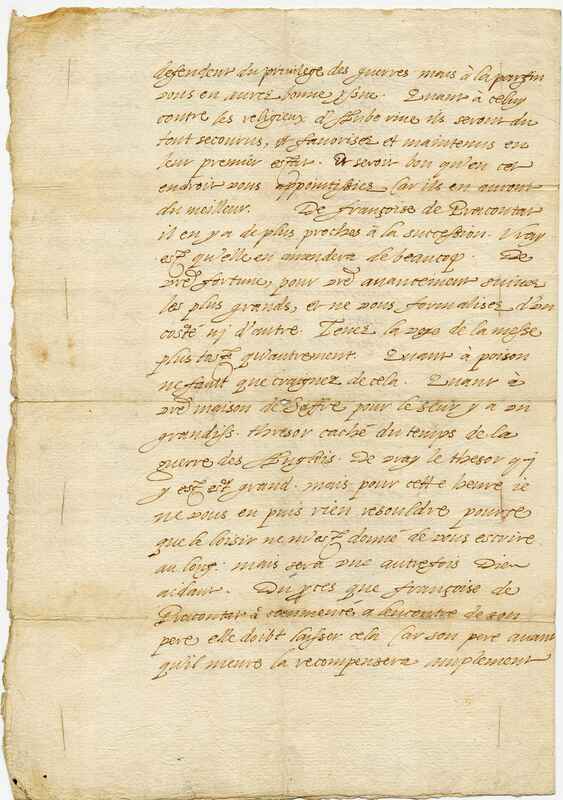 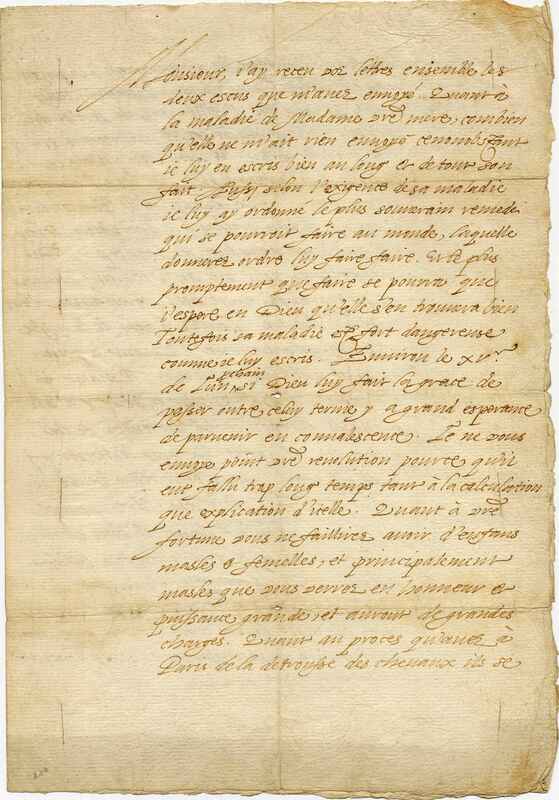 Short summary: Comments on the addressee's sick mother; the addressee's horoscope and glimpses from his future; concerning the lawsuit of Françoise de Pracontat against her father; on the future of the addressee's sister Bernarde de Cleron etc. 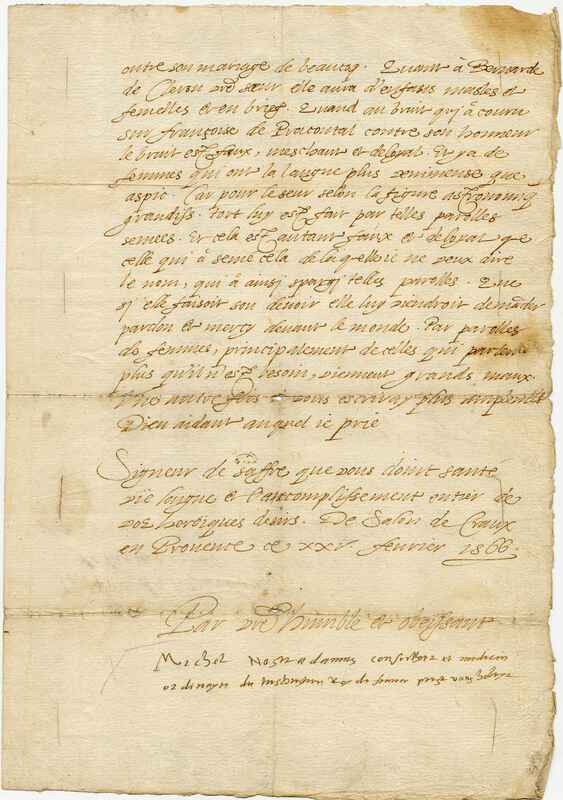 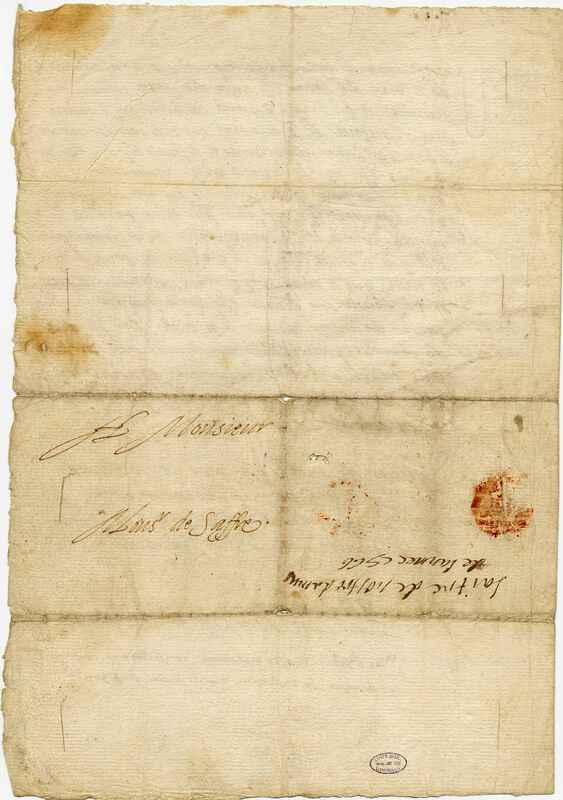 Comments: Addressed to Sieur de Saffre. 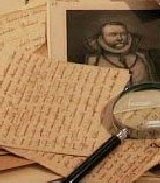 Kept with a bound transcription, an English translation and some provenance details.